The Loan Management System (LMS) is a robust and innovative architectural platform that is comprised of a Front-Office Loan Origination System (that supports consumer and retail financing facilities, as well as SME and Corporate lending) and of a Back-Office Loans Administration system. 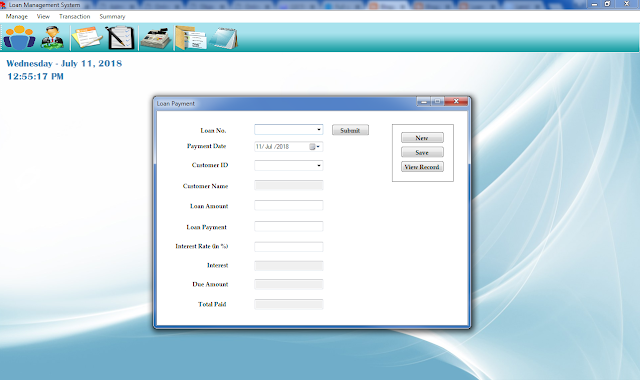 Loan Management System project is a desktop application which is implemented in C# .net platform. This work borders on Loan Management System. The current system of loan management system is faced with few technical issues, ranging from Time wasting in granting of loan to customers. This calls for the need to develop a system that corrects this error. 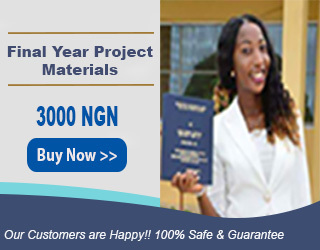 The design loan management system Enable the Credit officer grant loan effectively. The present system Keep proper records of Loan Portfolio. The methodology adopted for this project is the Structured System Analysis and Design Methodology (SSADM). The new system Generate monthly Interest on Loan and Advances, The computerized loan management system is error free.